3G Cardio is a must-try brand if you are considering buying a treadmill for your home, office, condo-association, hotel gym, etc. Before you buy any other brand, I’d highly recommend walking or running on a 3G Cardio treadmill. I’ve tested most major brands on the market and no one combines quality and value quite like 3G Cardio. And, what I like most is that the Phoenix, Ariz., based company has a treadmill to fit all home gym and budget needs. 3G Cardio has a health club quality treadmill at a home gym price in the 3G Cardio Elite Runner Treadmill (MSRP $3,999, AHF sale price $3,399). The 3G Cardio Pro Runner Treadmill (MSRP $2,499, AHF sale price $1,999) might be the best fold-up treadmill on the market. If you want to conserve space and save money, the power and stability of the 3G Cardio Fold Flat Treadmill (MSRP $2,399, AHF sale price $1,999) and 3G Cardio Lite Runner (MSRP $1,499, AHF sale price $999) are unmatched. 3G Cardio is a health and fitness equipment company led by co-owners with more than fifty years of experience in the specialty fitness industry. They also produce award-winning vibration training machines and exercise bikes. * The 3G Cardio Lite Runner Treadmill is a “Might Mini.” It’s perfect for people who have a small workout space in their home, apartment, or other spot, but want a sturdy treadmill. 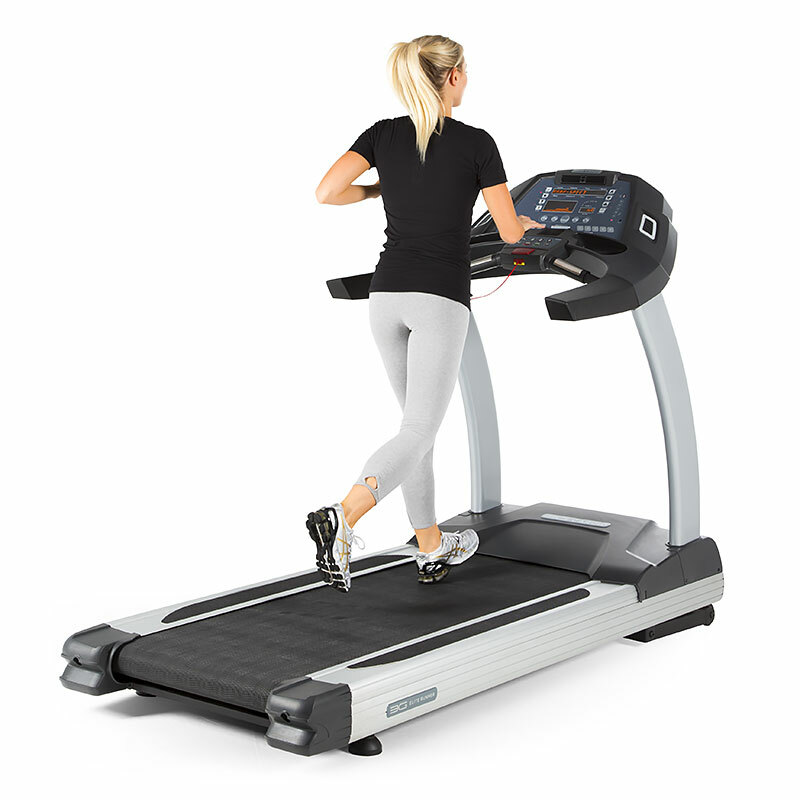 The 3G Cardio Lite Runner Treadmill is extremely compact and can fit through a door frame. It has a small 18″ x 51″ workout surface and the streamlined fitness machine can be folded for behind-the-door storage, too. The Lite Runner may be small, but it’s mighty. It’s sturdy enough to jog on and when you’re done it can be folded up and easily rolled through the door for storage. It’s one of the best treadmills priced under $1,000 you’ll find anywhere. The 3G Cardio Lite Runner measures just 67 inches (length) x 29 3-4 (width) x 52 1-2 (height). It can be folded up to just 32 x 29 3-4 x 62 1-2 and rolled through most standard doorways for storage without having to disassemble. At Home Fitness consultant Aaron Dorksen’s blog deals with a variety of fitness topics, ranging from workout tips, motivational ideas and feature stories on how exercise impacts people’s lives. E-mail him with comments, questions or ideas for future blogs at aaron@athomefitness.com.